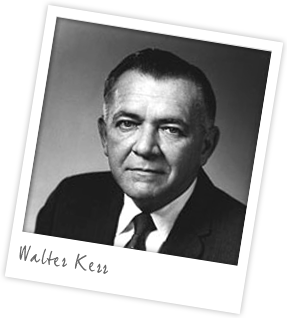 Walter Kerr was a renowned New York theatre critic whose influence and importance was such that in 1990 the old Ritz Theater on West 48th Street was renamed in his honor. Kerr taught drama before embarking on a career of criticism for publications like the New York Herald Tribune and the New York Times. He also wrote a number of books and a few plays. He received the Pulitzer Prize for Criticism in 1978 and when he died in 1996 Broadway dimmed its lights in honor of him. In 1990, the old Ritz Theater on West 48th Street was renamed the Walter Kerr Theater in his honor. CURRENTLY SHOWING: Hadestown. The cult off-broadway hit makes its Broadway bow. Now in previews, opening night 17 April 2019. Important note: The term Walter Kerr as well as all associated graphics, logos, and/or other tradermarks, tradenames or copyrights are the property of the Walter Kerr and are used herein for factual descriptive purposes only. We are in no way associated with or authorized by the Walter Kerr and neither that entity nor any of its affiliates have licensed or endorsed us to sell tickets, goods and or services in conjunction with their events.